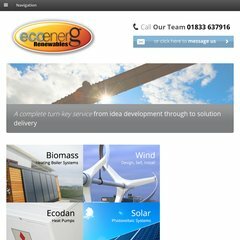 Topics: Computer Insight, Solar Pv Systems, Biomass, and Heat Pumps. acisenergy.co.uk ACIS Renewable Energy - Solar PV Panel Specialists - My investment ..
acisenergy.co.uk ACIS Renewable Energy - Solar PV Panel Specialists - Solar PV ..
acisenergy.co.uk ACIS Renewable Energy - Solar PV Panel Specialists - How do solar ..
acisenergy.co.uk ACIS Renewable Energy - Solar PV Panel Specialists - Farmers ..
Its 2 nameservers are ns14.hosthost.co.uk, and ns15.hosthost.co.uk. It is hosted by Mr Site Ltd (England, London,) using Apache web server. Acisenergy.co.uk's IP address is 193.227.106.105. PING www. (193.227.106.105) 56(84) bytes of data.